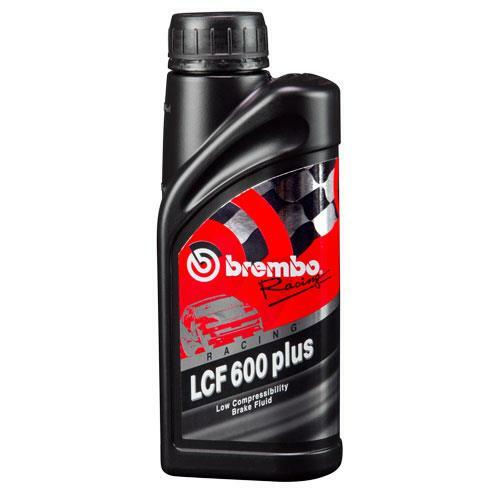 Brembo Brake Fluid UNIVERSAL - Lightning Motorsports - Selling Speed since 1996 ! Mixes safely with other DOT3, DOT4, and DOT 5.1 fluids. This is a reliable high quality fluid that improves pedal feel and consistent braking performance without the frequent inspection intervals of a full racing brake fluid. Not Suitable for vehicles with mineral oil systems. This fluid is suitable for use in the hydraulic brake and clutch systems of all cars, commercial vehicles, and motorcycles for which non-petroleum based fluid is specified. For best performance, LCF 600 Plus should be the only brake fluid in the hydraulic system and the old brake fluid should be completely flushed out. Proper inspection of the brake fluid color and condition is very critical after each race weekend. *For best performance, HTC64T should be the only brake fluid in the hydraulic system and the old brake fluid should be completely flushed out. Brembo HTC 64T can handle high temperatures without loss of pedal feel (independently proven low compressibility). Has been specifically formulated to provide the highest performance and consistency under all racing conditions. Wet boiling points are not critical in a motorsports environment when the brake fluid is bled and changed very frequently due to the high demands on the brake fluid.